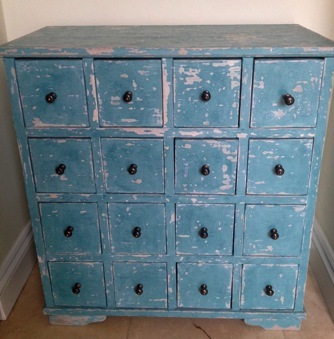 All furniture below can be purchased as seen or painted/ finished to your specifications. 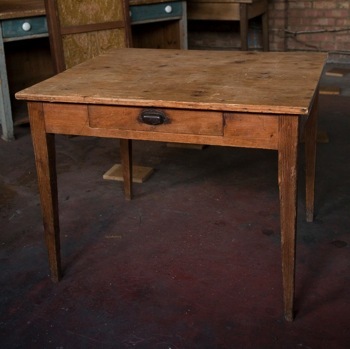 Keep checking the site to see our current stock. 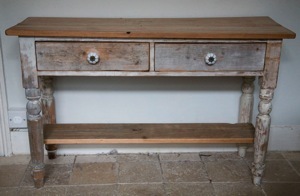 Description: Solid, heavy and chunky drawers, hand finished in Old White and Provence, with original vintage handles. 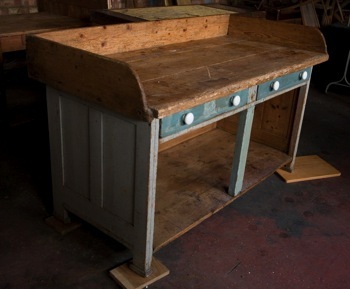 Description: Unique well loved chunky counter with original paint work. Dimensions: 160 length x 78 width x 96 height cm (at highest point). 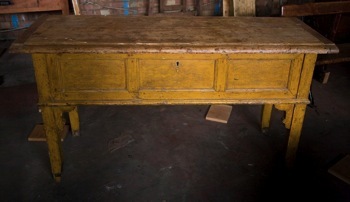 Description: Table with small front drawer. 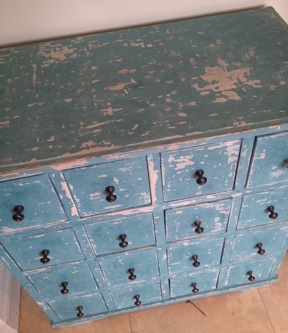 Dimensions: 95 x 79 width x 73 height cm. 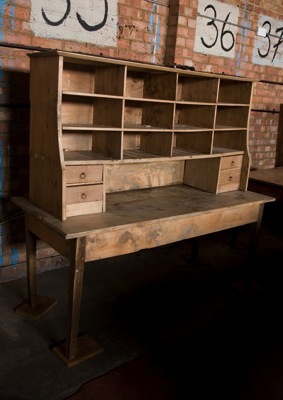 Description: Unusual two-piece desk with shelves and drawers; naturally distressed. 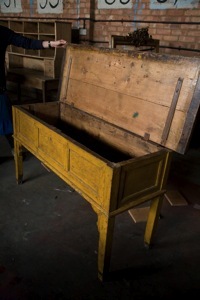 Dimensions: 167 length (please call for more detailed dimensions). 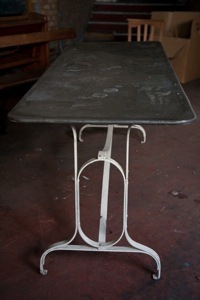 Description: Zinc table with iron legs. 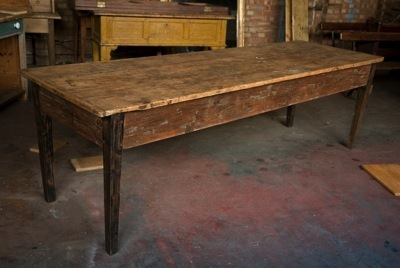 Dimensions: 190 x 68 width x 76 height cm. 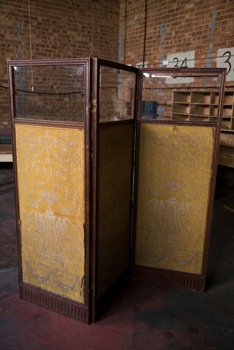 Description: dimensions 156 height x 56 width x three panels. 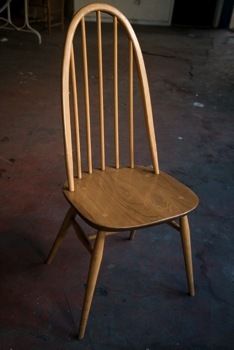 Description: Vintage Ercol! Set of four available or to purchase individually. 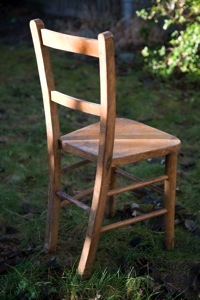 Price: £88 each or £320 for set of four. 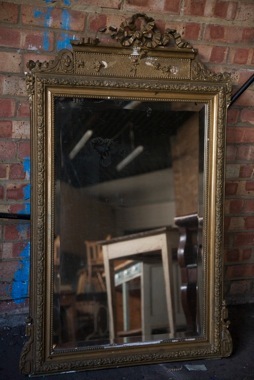 Description: As featured in Country Homes and Interiors. 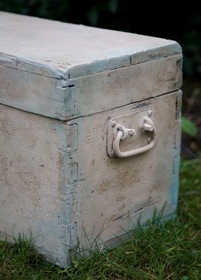 Hand crafted, painted and distressed to your specification. 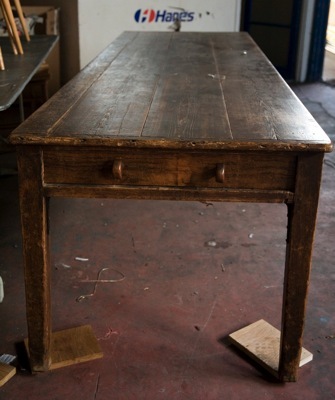 Our skilled craftsman will build this heirloom piece to your chosen size; please enquire for further details. 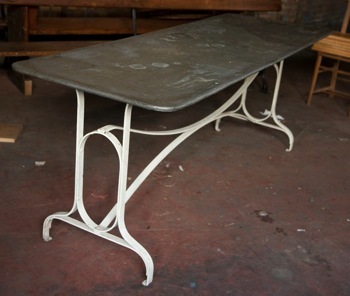 Price: £Dependant upon size and paint finish requested. 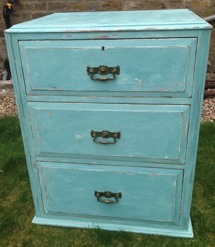 Guide price for above chest approx 68cm x 36 x 73 height 16 drawers £900. 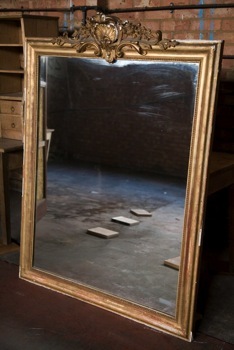 Description: dimensions 75 width x 108 height of mirror x 125 at highest point. 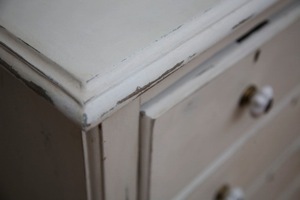 Signs of wear and tear but still beautiful! 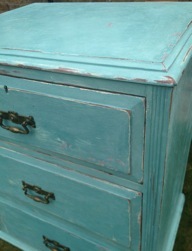 Description: French side table with lifting lid with original distressed paintwork. Dimensions: 133 x 48 width x 80 height cm. 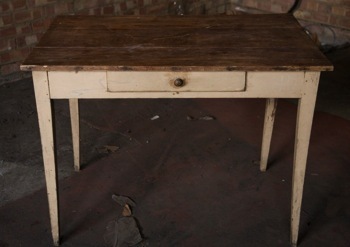 Description: Small table with original paintwork and small front drawer. 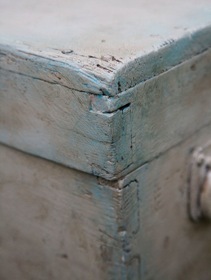 Dimensions: 100 x 64 width x 70 height cm. 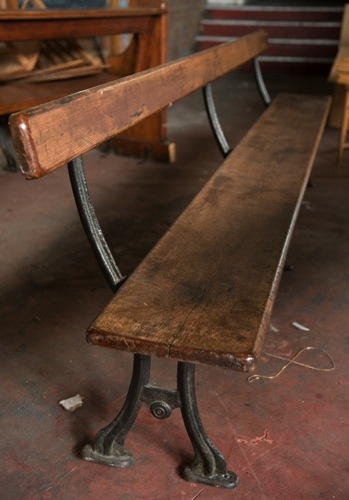 Description: Heavy robust long bench. 274cm long. One remaining in stock. 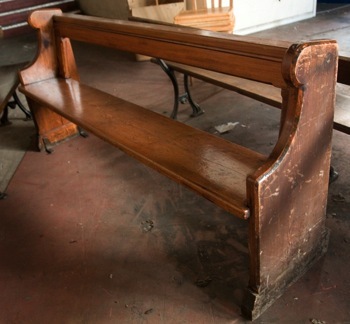 Description: Church pew in original condition - can be painted upon request. Dimensions: 188 long x 30 deep x 48 (height of seat) x 85 (highest point). 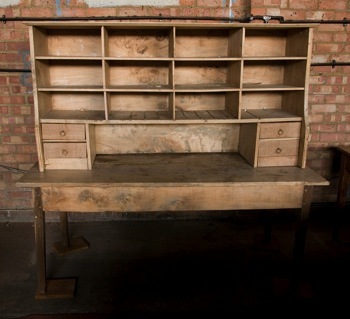 Description: dimensions 267 x 84 width x 75cm height. 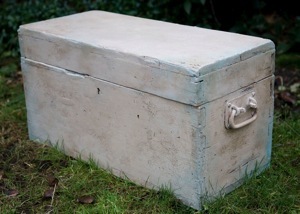 Description: dimensions 251 x 79 width x 76cm height. 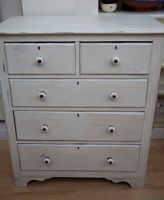 We have a constantly changing supply of chests of drawers and will paint/finish them to your specification. 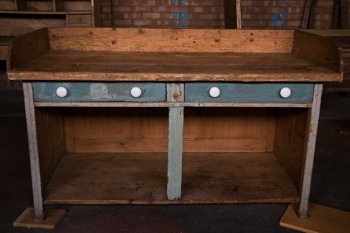 Prices vary according to size and finish so contact us for more details or to discuss what you are looking for. 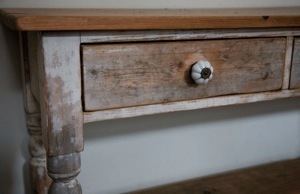 Description: Side table limed and painted in a light wash with vintage Belgian knobs. 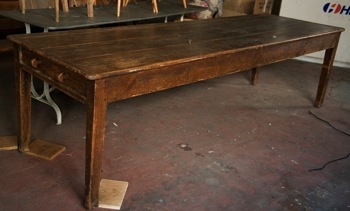 Dimensions: 107 width x 35 depth x 66 height cm. 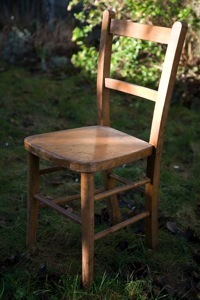 Description: Unpainted vintage wooden children’s chair. Dimensions: 28 x 30 x 65 cm.